It's a sunny day in Antalya. A nice shower and a BBS shave is a great way to start the day. I listened to 'curb your enthusiasm OST' while shaving, it's an uplifting soundtrack. Absolutely beautiful shave from this razor, one of two straights i own with full hollow ground blades, or singing blades as some people like to call them, and they are without doubt the sharpest razors i've ever owned for a traditional straight, the Feather AC - SS is another matter. 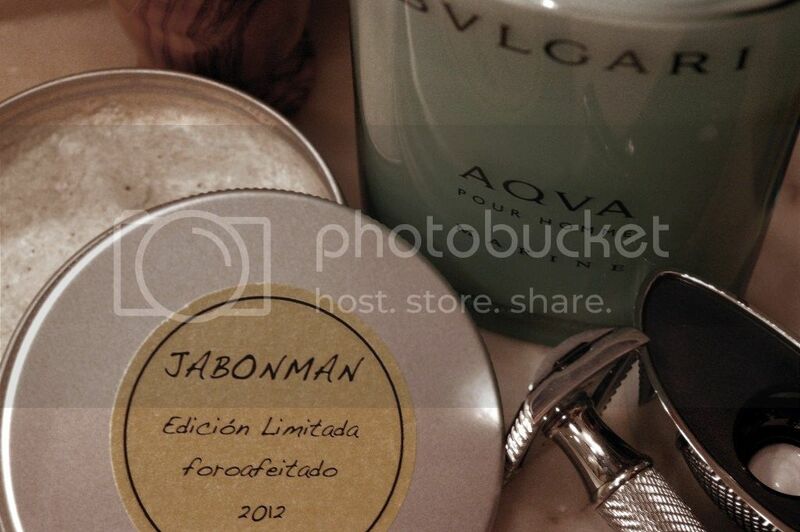 - Jabonman foroafeitado 2012 limited. - Olivo finest DB 24xh. - Bvlgari Aqua Marine balm. First time using this lovely and exclusive shaving soap. Really nice. 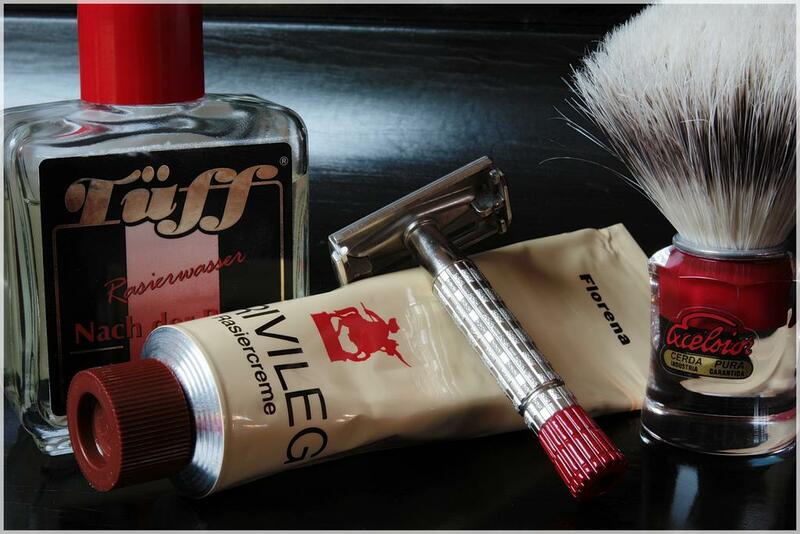 A typically close and smooth shave with the Futur/Astra/MWF combo. The Alt Innsbruck, in addition to its fragrance, added to the already good skin feel. From start to finish, this was a great shave! Ps this is my old waking mate Patsy, just back after a 6 M walk!! Sunday, April 22, 2012. Good Morning! I was thinking of my 2nd "home away from home" which is Thessaloniki, Greece this morning and I wanted to take a nice "nostalgic shave" and this Kolynos Regular cream delivered fantastic lather with really good skincare. The scent is very flowery - in fact it's identical to C&E Almond, so it's very pleasant. The Hega aftershave is very neutrally-scented, so it won't disrupt the scent of any cologne or eau de toilette. Even though it has no menthol, it has a cooling effect. Leider bin ich mit dieser Florena Creme nicht vertraut. Ist es neu? finish with cold water rinse for a DFS! No, unfortunetly it's not a new one. It's a vintage shaving cream made in former East Germany and it is at least more than 20 years old. But the lather was good and it smells like cedarwood. Blade test of another Ted Pella blade that I was sent, that is not the accepted blade for shaving. OK, so that didn't last long. It's a window scraper blade. I installed a good blade and I was off to the races. That my Le Grelot in the black buffalo horn scales is about as sweet a razor in every way as I've had, and I've had some beauties. That my handsome Muhle Stylo butterscotch DE must have been designed for me for absolute comfort and close shave. That the matching Muhle Stylo butterscotch silver tip brush is a beauty in looks and an odd duck in function for being floppy with a handle that weighs a ton and is an ergonomic bust. That the double edge blades Super Iridium and Gillette 7 O' Clock "SharpEdge" yellows share the crown in my humble shave den. 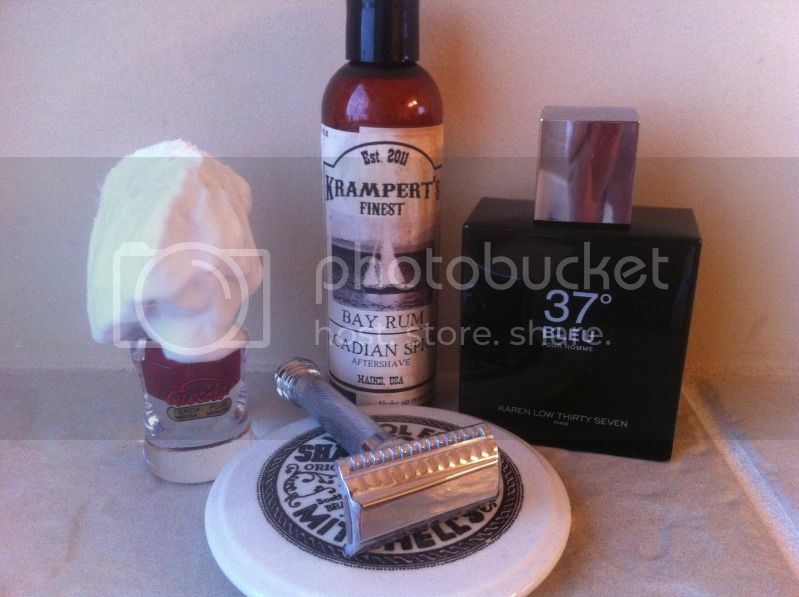 That Xpec original is an exquisite shave cream. That Schwarzweisskeramik is the most perfect scuttle I have owned, and I have owned a series of scuttles. And that today's shave was worthy of a king.